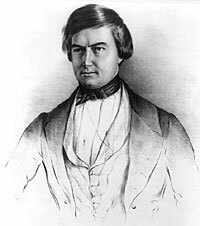 Nicknamed “Cash”, Cassius M. Clay was a Kentucky Republican leader and fervent abolitionist newspaper editor. 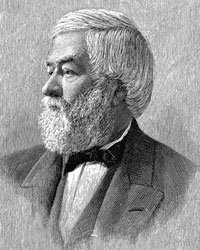 He sought to maneuver the Republican presidential nomination for himself in 1860 and later a Cabinet post for himself in 1861. 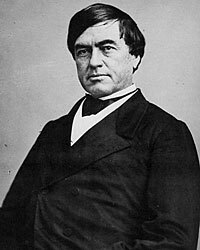 He lost Republican Vice Presidential nomination to Hannibal Hamlin in 1860 because as a former Whig he would not have balanced the ticket. Historian William Ritchie wrote: ”After the election of Lincoln, Clay hoped that the portfolio of war was assured him. When strong opposition developed against him, Clay sought the assistance of other men of influence, such as Chase and Schurz. Clay failed to secure the appointment to the cabinet. 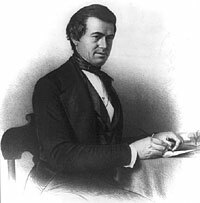 He blamed William Seward, who said that Clay’s appointment to the cabinet would constitute a declaration of war on the South.”1 But there is little evidence that Clay was seriously considered for that post. Clay was appointed Minister to Russia in April 1861 after he objected to appointment as Minister to Spain and was rejected for the positions he preferred in either England or France. 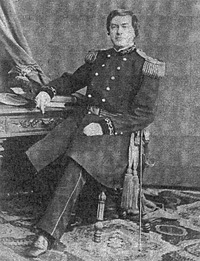 He returned to America to accept a commission as a general. He resigned his army post in protest against failure to proclaim emancipation of slaves in the South. Despite his notable lack of common sense, humility or diplomatic skills, he sought reappointment Minister to Russia as Simon Cameron tired of the job. “Although you may not always represent my special views, you have always my confidence and support to carry out your own—for you are the Chief of the Nation—not I,” Clay told Mr. Lincoln.6 President Lincoln reappointed Clay despite Senate opposition. This time, Clay remained in Russia until 1869. Without slavery as an issue, Clay had no political agenda. Went to the Presidents at 6 P.M. and had a talk with him. Among other things he said there was never an army in the world, so far as he could learn, of which so small a percentage could be got into battle as ours—That 80 pr cent was what was usual, but that we could never get to exceed 60. That when he visited the army after the battles of South Mountain and Antietam he made a count of the troops, and there were only 93,000 present when the muster rolls showed there should be 180,00. Whilst I was with him Cassius M. Clay & some other gentlemen sent in their cards. He was much annoyed—said to me he did not wish to see them, and finally told the servant to tell them he was engaged and could not see them to-night. I asked him what he thought of Clay. He answered that he had a great deal of conceit and very little sense, and that he did not know what to do with him, for he could not give him a command—he was not fit for it. Clay broke with Republicans in 1872 and was beset by mental illness before his death. Clay had been born to wealth, but squandered much of it on ill-advised business ventures, including proprietorship of the anti-slavery newspaper, The True American. He was an ardent emancipationist with fundamentally racist beliefs. Because of his political beliefs, he was subject to political and physical attacks—which he countered with his bowie knife expertise. In 1878, Clay divorced his wife of 45 years and briefly married a 15-year-old girl. William Ritchie, The Public Career of Cassius M. Clay, p. 9. Allen Thorndike Rice, editor, Reminiscences of Abraham Lincoln, p. 316. David L. Smiley, Lion of White Hall: The Life of Cassius M. Clay, p. 176. 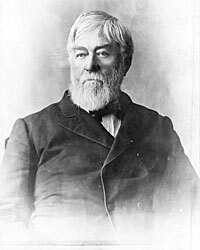 H. Edward Richardson, Cassius Marcellus Clay: Firebrand of Freedom, p. 83. Robert Baughhman Carlée, The Last Gladiator, p. 133. Smiley, Lion of White Hall: The Life of Cassius M. Clay, p. 187. Don E. and Virginia Fehrenbacher, Recollected Words of Abraham Lincoln, p. 107. Theodore Pease, editor, Diary of Orville Hickman Browning, Volume II, pp. 598-599. Michael Burlingame, Abraham Lincoln: A Life, Volume II, pp. 140, 290. Daniel Mark Epstein, The Lincolns: Portrait of a Marriage, p. 169.